Kaon Interactive, a provider of interactive 3D product marketing applications, won an Award of Distinction at the 2013 Communicator Awards in the “Integrated Campaign” category, according to officials. The company developed a mobile interactive app for Juniper Networks, a global telecom/networking company. 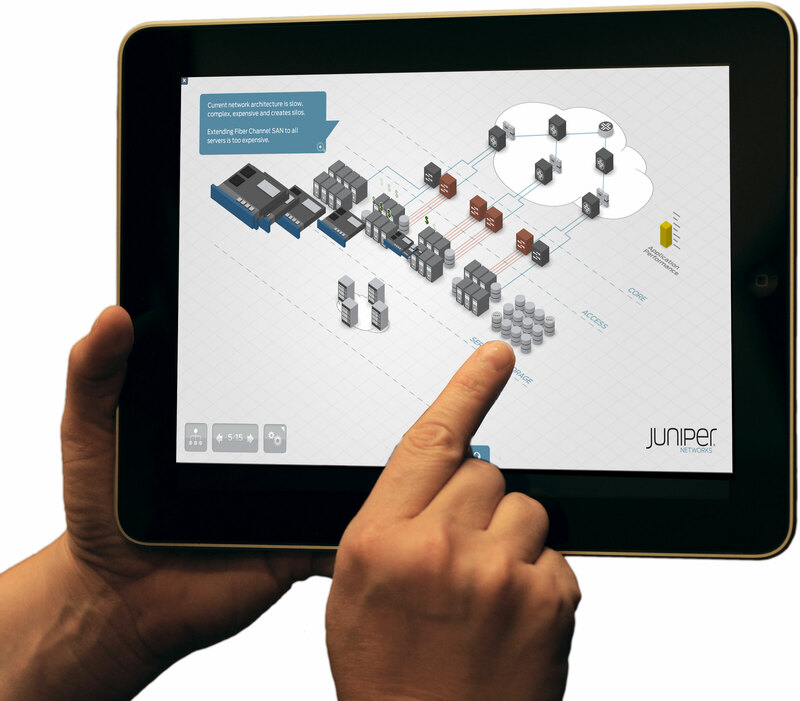 This mobile app integrates interactive solution stories with information from Juniper’s website as well as real-time social media feeds and virtual 3D product model demonstrations. “We are both excited and amazed by the quality of work received for the 19th Annual Communicator Awards. This year’s class of entries is a true reflection of the progressive and innovative nature of marketing and communications,” said Linda Day, executive director, International Academy of the Visual Arts. Providing a more personalized experience, global channel partners can use these photo-realistic 3D product models, which look and behave like physical products, to give product demonstrations tailored to individual customer need at the prospect’s level of interest. On the road, in an airport or at a remote meeting, sales professionals can showcase and differentiate the company’s product and solution portfolio using iPads. Making the tool available to the direct and indirect sales team gave Juniper a competitive advantage by exciting and engaging partners while making their solutions and products easier to communicate and sell. With more than 6,000 entries received from the U.S. and around the world, the Communicator Awards is the largest and most competitive program honoring communications professionals for creative excellence. The awards are judged and overseen by the International Academy of the Visual Arts (IAVA), an organization comprising 600-plus professionals from various visual arts disciplines dedicated to embracing progress and the evolution of traditional and interactive media. This post was first published by Exhibit City News. This entry was posted in News and tagged 2013 Communicator award, Award of Distinction, award winning app, awards, Communicator Award, iPad, Juniper App, Juniper Networks, Kaon Interactive, mobile app, mobile devices, Visual Arts. Bookmark the permalink.